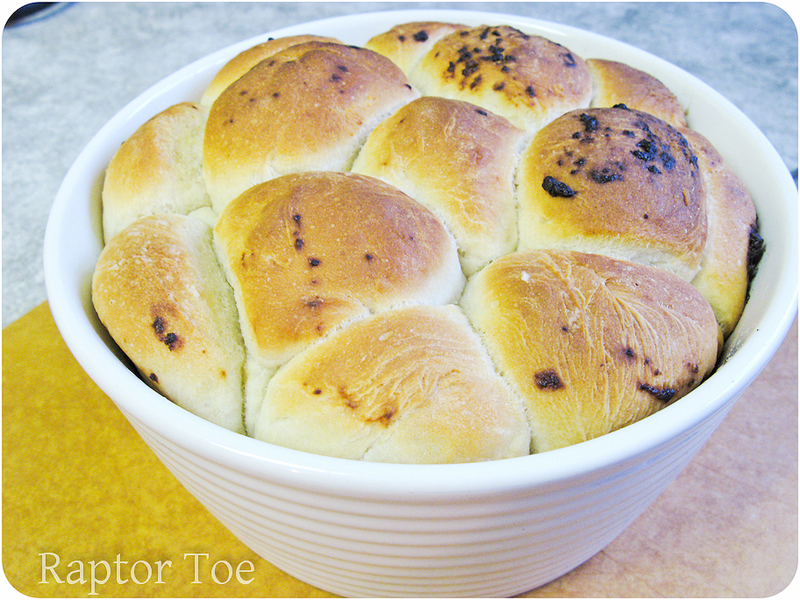 garlic bread | Raptor Toe - Food, Baking, Fun. You may not be aware but Michael and I are in the middle of moving. Or in the middle of about to be moved? Regardless, we’re packed, waiting to leave and are quite lacking in the ingredients for dinner area. 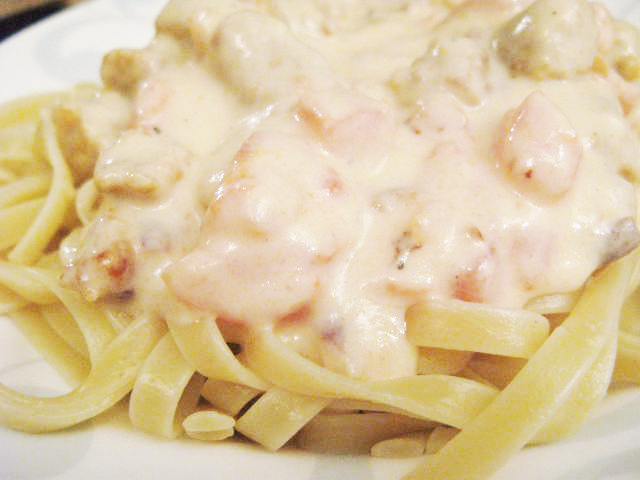 So tonight I had a look in the pantry/fridge and came up with a Pork Sausage and Fresh Tomato Alfredo Linguine. I also made some garlic bread out of some 3 day old french bread. You can't believe how happy my belly was. …the rest is this way!